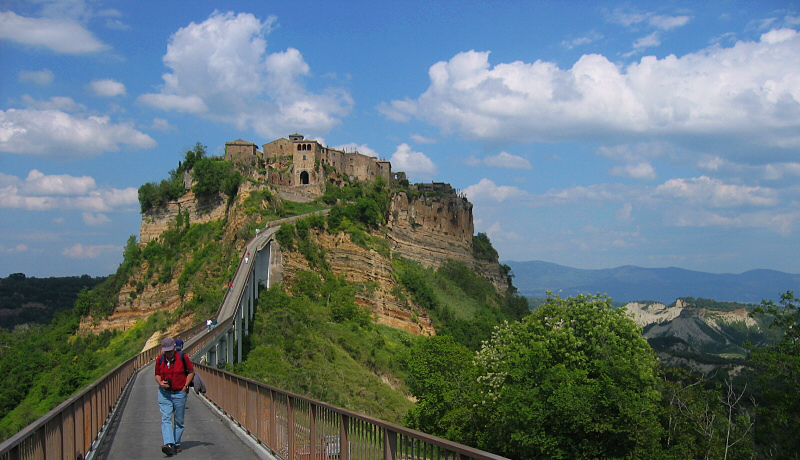 Andrys Basten | all galleries >> ITALY Photos - Tuscany photos - 2006 (partial) >> Civita di Bagnoregio Photos > Only 12 residents remain, but vacation homes are a draw now. Only 12 residents remain, but vacation homes are a draw now. Why didn't the other residents stay? I only wish the day I was there was as spectacular as this day. Isn't it a beautiful but lonely "city"? Nice work.